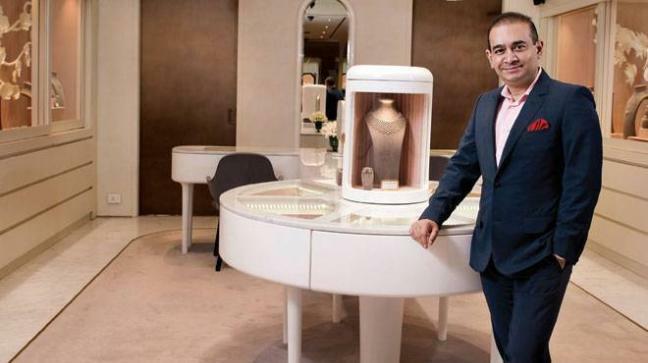 The investigation team looking into the fraud case of Nirav Modi and his family that was carried out in collusion with PNB’s officials has revealed existence of 200 fake firms with fictitious assets. The shell companies are being investigated by Enforcement Directorate sleuths in connection with Rs. 11,300 crore that was routed through these firms. The funds were then used to purchase gold, diamonds and real estate properties around the world using fake identities. From the date of the fraud’s public announcement till last Saturday, government agencies including CBI and ED have raided around 73 locations across the country and seized assets amounting to Rs.5674 crores. This Sunday PTI revealed that around 45 locations were raided comprising of showrooms and manufacturing workshops that are based in 15 cities in India. While around 10 locations in Bengaluru were raided, in Delhi seven, five in Mumbai and Kolkata while four in Chandigarh and Hyderabad and one in Guwahati and Chennai too were raided. Retailer outlets of Gitanjali at suburban malls in Delhi were raided said IANS news agency. Police has filed cases against Nirav Modi and his uncle Mehul Choksi along with three brands owned by him under the Geetanjali brand. More than two dozen properties under the Anti-Money laundering policy have been attached by officials of Enforcement Directorate investigating the Nirav Modi–PNB case. Besides this around 29 properties along with 105 bank accounts belonging to Modi, his family members and firms owned by them have been attached by investigators. Ironically the man had figured in Forbes list of rich Indians barely two years ago before this dramatic revelation of fraud and cheating. The CBI has put three persons behind bars that include two former employees of Punjab National Bank all of whom will remain under custody till March 3 as they helped Modi to get credit by misusing their powers.